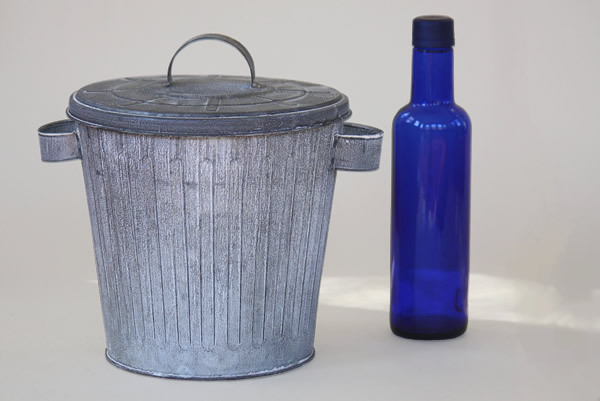 These tiny galvanized trash cans are perfect replicas of their larger counterparts, and make a beautiful, unique addition to your home. Fill them with thread or other small supplies or add a plastic liner and use them to store small candies in your pantry. Additionally, they can double as a centerpiece and container for olive pits or peanut shells at your next gathering. This is a very cute office organizer, that always makes people smile.